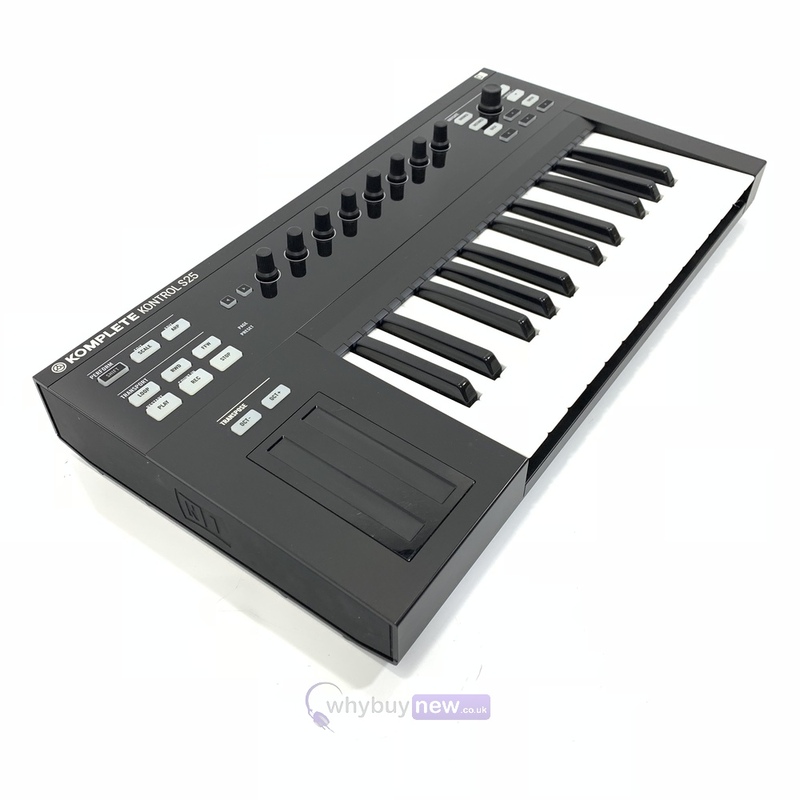 This Native Instruments Komplete Kontrol S25 has come to us via a part exchange and comes with a 6 month warranty. 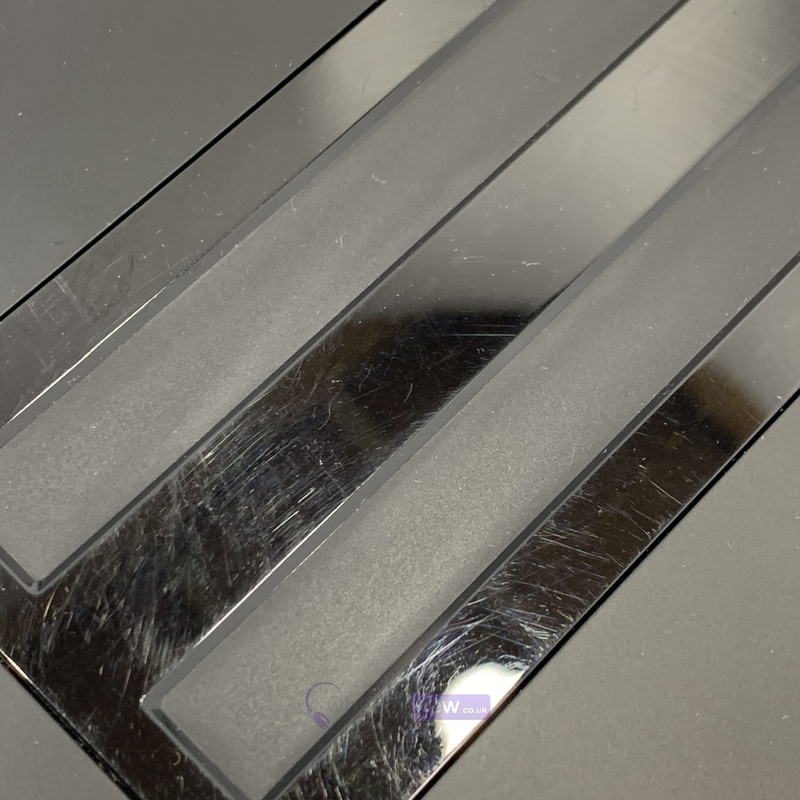 The item is in average cosmetic condition with some surface scratches and a little crack next to the knobs at the top of the item (please see photos). It comes with the power supply, deregistered codes and USB lead. The unit has been deregistred. 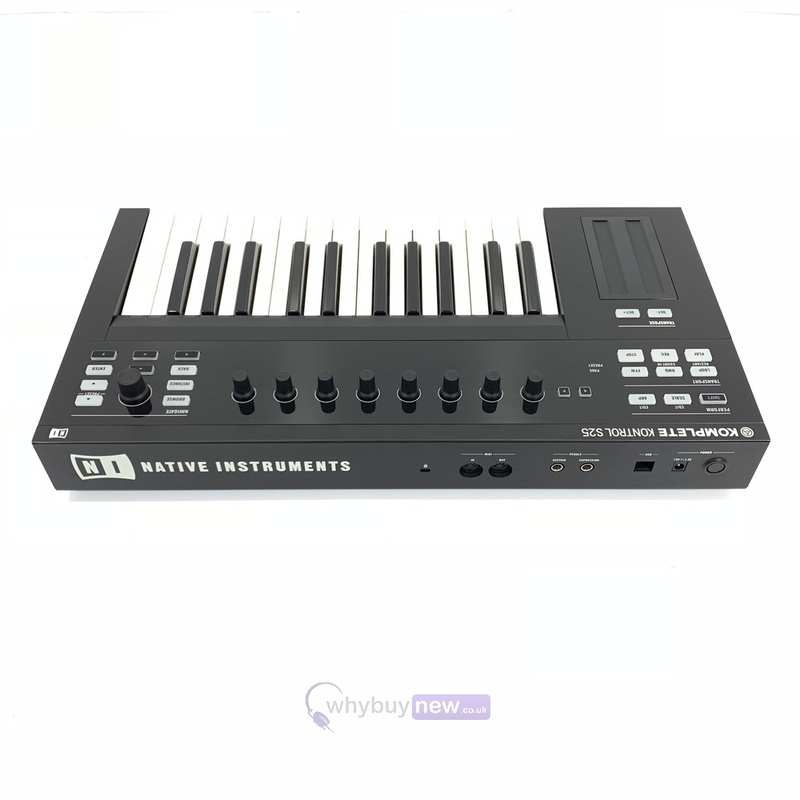 This Native Instruments Komplete Kontrol S25 does not include original packaging but has been professionally packaged to ensure safe delivery to your door. 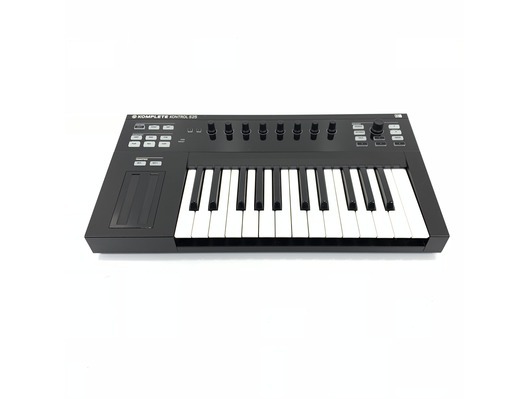 The Native Instruments Komplete Kontrol S25 Keyboard Controller is the perfect centrepiece for your studio. 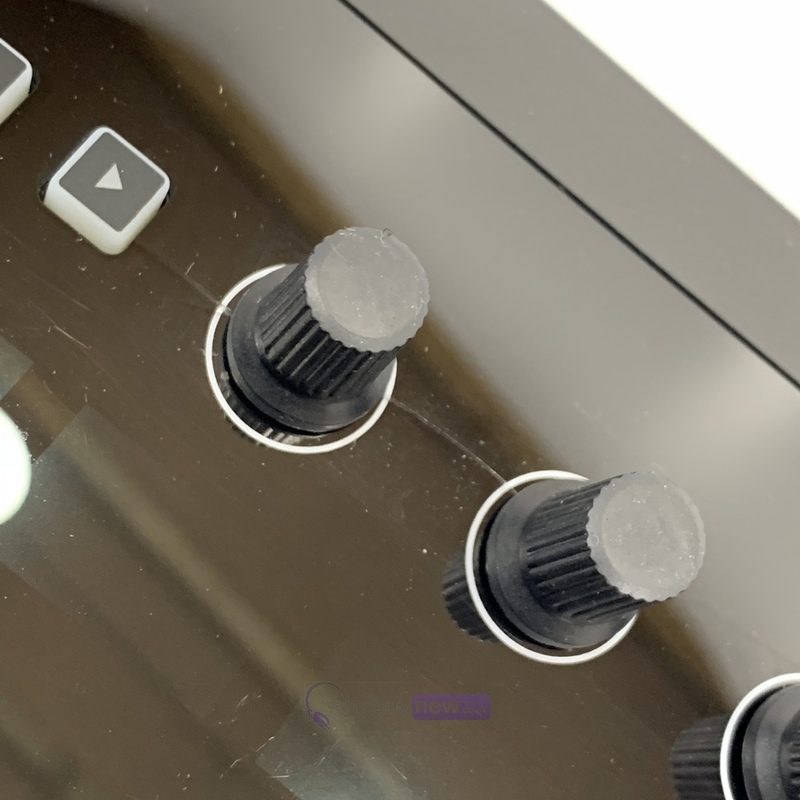 Komplete Kontrol opens up the full potential of KOMPLETE. Feel the world's most advanced software instruments come to life under your fingertips - more intuitive, expressive, and inspirational than ever before. Native Browser - Browse and load your entire library of Komplete and VST instruments from a single, unified interface. 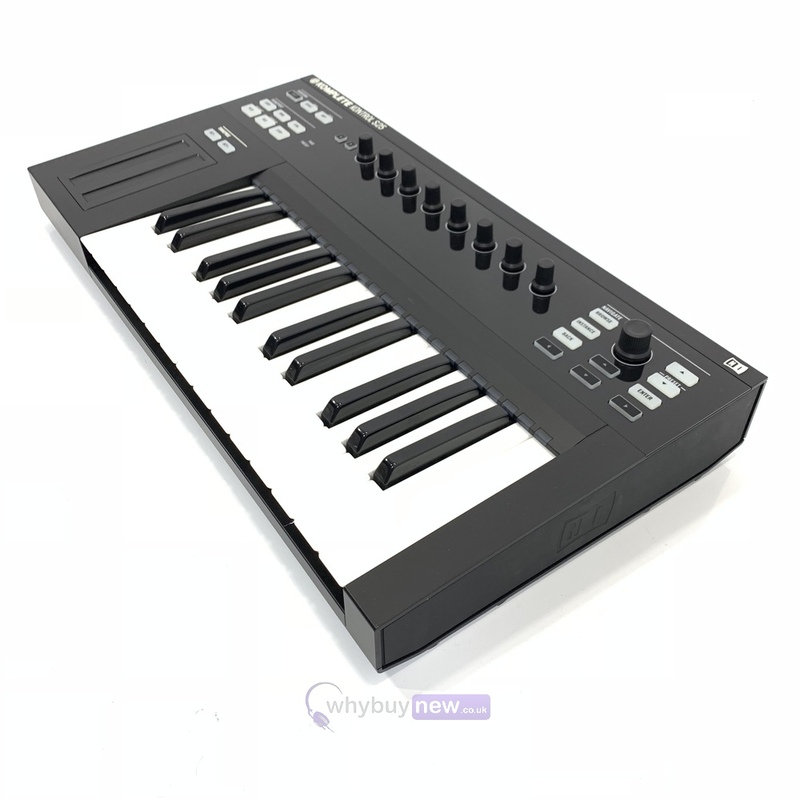 Light Guide - The innovative LEDs above the keys mirror key switches and sound and sample types across the keyboard for all Komplete and NKS instruments. 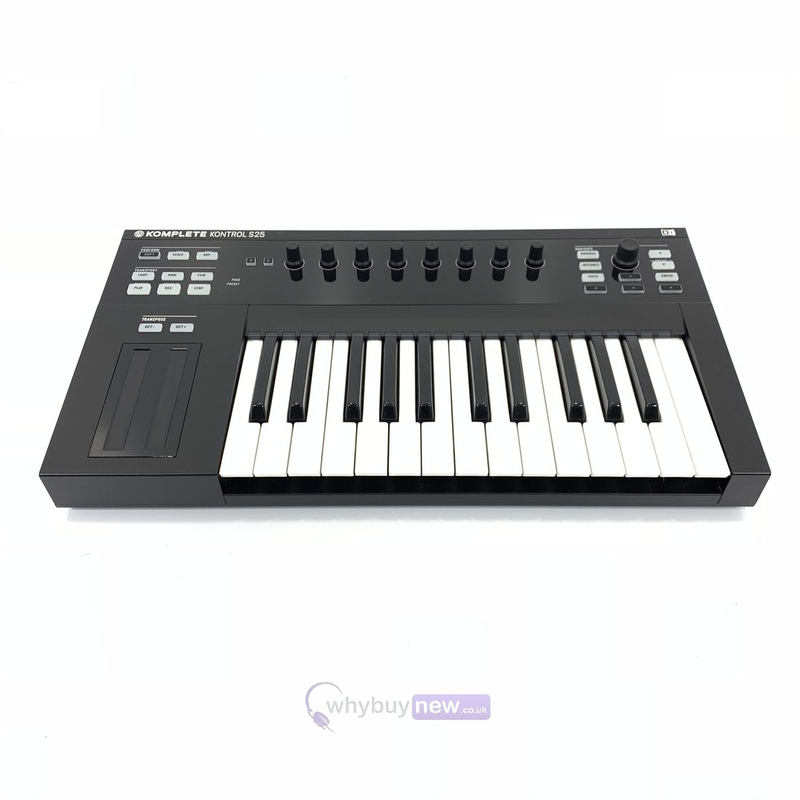 The Komplete Kontrol S25 features a semi-weighted keybed with monophonic aftertouch. Built to last, these keys feature a special plastic blend for both the white and black keys. This means improved glossy surface and longer durability for premium feel and superior appearance. Multiply your creative potential when you use Maschine and Komplete together. Combine them and experience true creative unity - get unified browsing, automatic parameter mapping, and intelligent keys and pads with plug-and-play simplicity. All the power and sound of each platform in perfect sync at your fingertips with a hardware workflow you won't find anywhere else. Requires KOMPLETE 9 or higher for full feature set.